Geoff Morten’s work centered directly on his search for an identity. 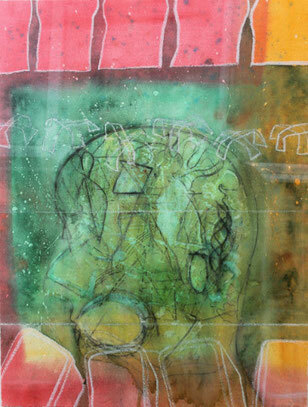 As an adoptee, he used figuration as the basic means for exploring his issues of isolation and alienation. This exhibition demonstrates how Geoff used himself as model for all the male figures which appear in his work. 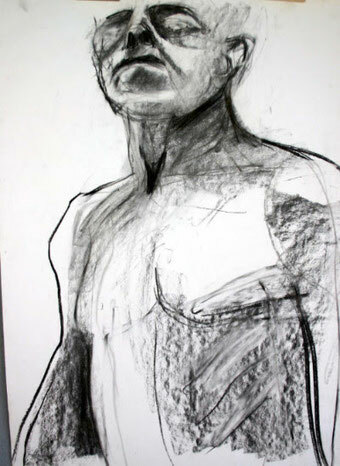 One of the early drawings show a strong figure standing defiantly, chin thrust forward, shoulders squared, fists clenched – ready to take on the world.